Don’t put up with the pain! Home/Physiotherapy/Don’t put up with the pain! This week we had a lady who came to see us with lower back and pelvic pain. Two years prior she had a little bit of a slip trip while outdoors, which resulted in a sore back for a few days. Just a few days later the lady went to ride her horse as she did regularly, yet the pain was still there and the riding position was quite uncomfortable. For almost two years the lady put up with the pain and carried on with everyday life, including riding her horse. This was until just a few days ago when she decided to make an appointment and put an end to this inconvenient pain, which was causing no end of problems and discomfort. • Muscle release of the muscles that had been over working for the last 2 years. • Then some exercises to rebuild the ones that had got weak over the same time period (they take about 5 mins per day max). After the second session the pain and discomfort had gone and the third session was to make sure everything was how it should be. This goes to show that you don’t have to put up with the pain and niggles that you might have picked up, and in most cases they can easily be fixed – in this case 2-3 sessions – taking away the inconvenience and discomfort. SO how can you get in touch with us?? You can give us a call at one of our clinics and we will be able to book you in at a time convenient for you. 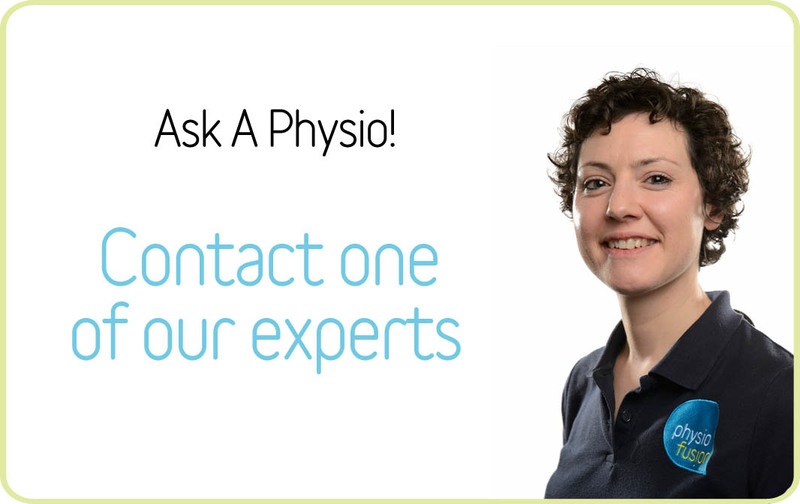 Alternatively you can use our free Ask-A-Physio service to the right of this page, explaining your injury or problem, and one of our physios will get back to you as soon as possible. Don’t put up with the pain! Let’s get rid of it!